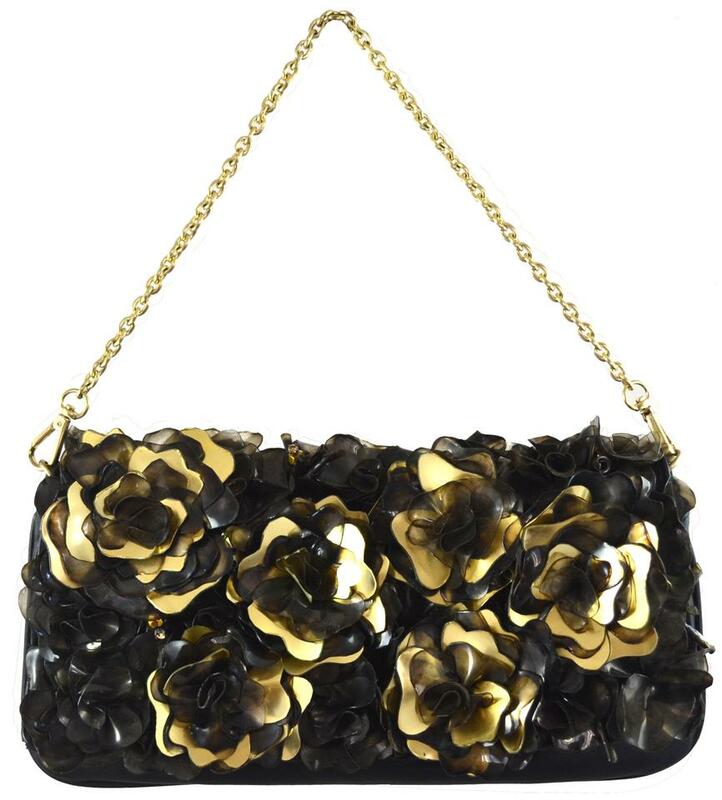 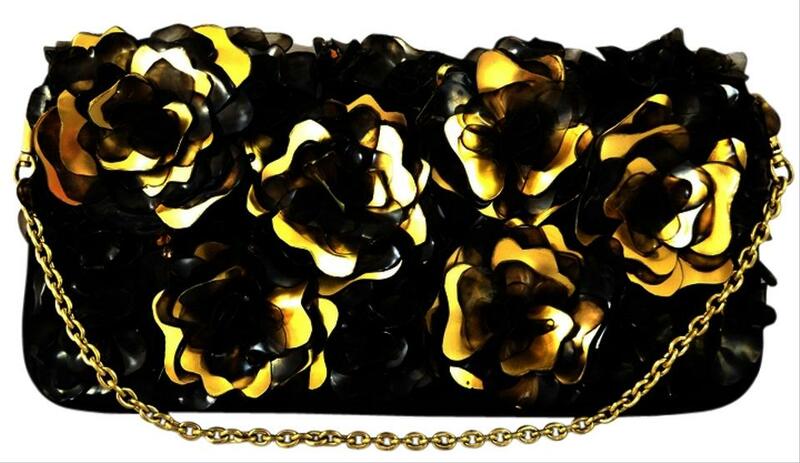 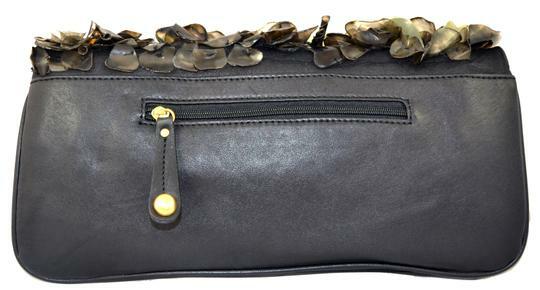 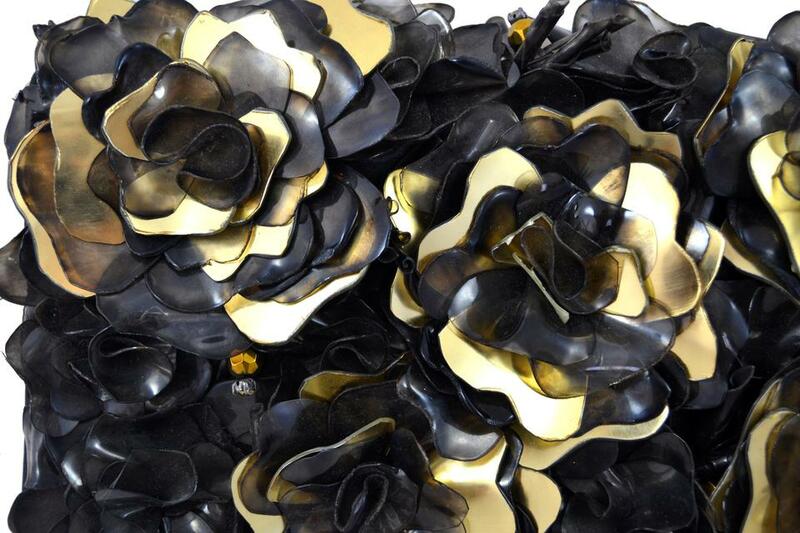 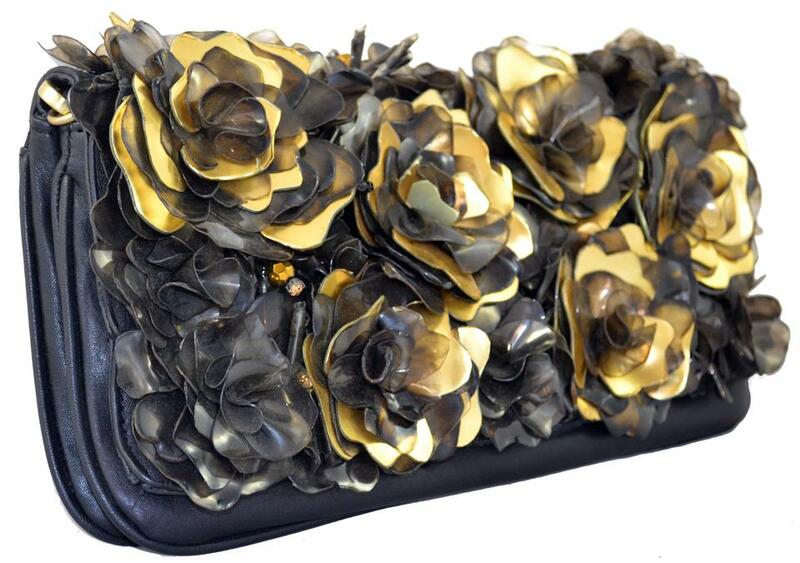 Unique clutch covered in plastic black and gold flowers with diamond stones. 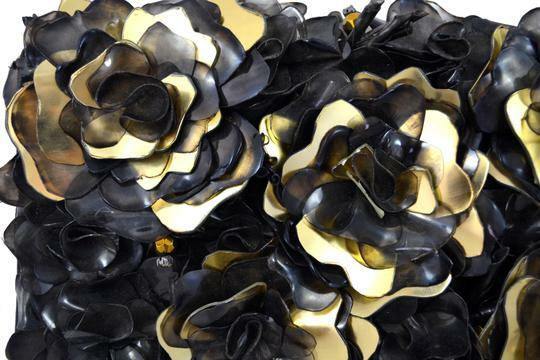 Very textural and eye-catching. 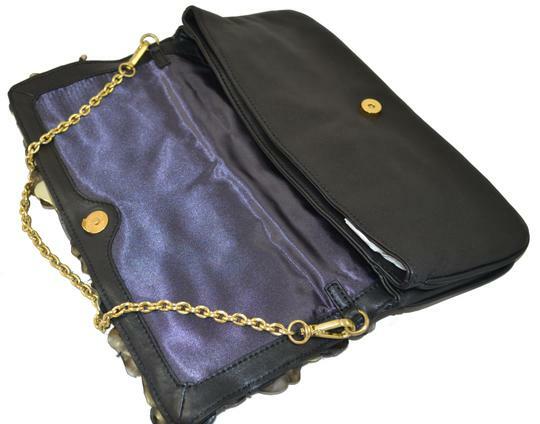 Drop-in detachable chain shoulder strap. Two interior compartments with 3 interior slip pockets, 1 interior zipper pocket and 1 back slip pocket. Great clutch for night out.